We are always looking for good, motivated, energetic individuals to join our Hebert's Town And Country Chrysler Dodge Jeep Ram team. Submit your resume to John Bartle at (318) 221-9000 and/or john@hebertstc.com. Sales ConsultantHebert's Town And Country Chrysler Dodge Jeep Ram is currently looking to expand our sales team. Applicants do not need prior sales experience but should be motivated to learn from our management team. We are looking for courteous, hard-working employees with good people skills. 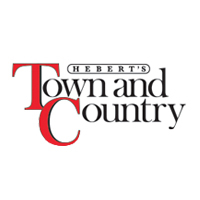 Hebert's Town And Country Chrysler Dodge Jeep Ram is an equal opportunity employer. Please call the dealership to set an appointment at (318) 221-9000 and ask for Beau Hebert. We look forward to hearing from you.